The truth is that dog parks have pretty much been the same in most places in Australia since they were built on old landfill pits that houses couldn’t cheaply or safely be built on. The parks often have a very low level of facilities or facilities in wrong places (inside the child playground area for instance). With the rise of social media sensationalising a single image of something bad happening in a park), its made it a LOT easier for people to justify to themselves and their dog not going. That they shouldn’t have to take on the “burden” of walking their dog off lead. Sadly for a lot of dogs, that is a very real, reality. The thing is, I live in ‘opposite world’. I see a lot of regular and new people at the dog parks in Melbourne each week. For the regulars, it’s business as usual and nothing much fazes them. They know that a social dog trying to dominate another dog isn’t the end of the world (or the end of a man’s ego) it’s just dogs being dogs. YES you can micro train a dog to within a centimetre of its life, but that is often done by trainers who never take their dog to a dog park. Makes me wonder if this is in case they get called out on the draconian stance they take on dog socialisation. Just like there are social rules of engagements for humans at the local club and pub, so there are in the dog park. I don’t personally agree with how everyone in the park treats their dogs or the dogs in my pack. I still see a fair bit of negative dog training (hitting of their own dogs), but that’s not illegal yet. I only step in when any behaviour is genuinely endangering my dogs. The problem for many people is you have to be experienced enough, be around enough, to know what normal or acceptable dog behaviour is. My dog wouldn’t have gotten to the brilliant 100% social position he is in, without me and him putting the effort in, daily, twice daily. This isn’t a major brag; I know many people that walk their dogs more than me, but I also know 98% of the population who don’t. There is no wake up call, the internet replaced dogs. 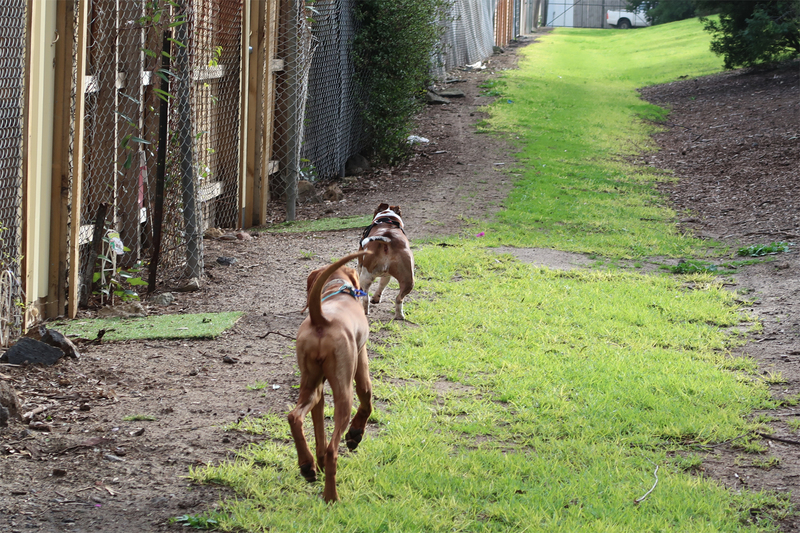 So often in the dog park it’s easy to get complacent with how far our dogs have come. But the true dog lover actually learns to enjoy the environment they walk their dogs in just as much as seeing their dog having absolute fun. It becomes a joy and not a chore. It is a daily part of their busy schedule. They understand dogs are sentient and very smart creatures and deserve much more than four walls and a back yard to ‘live in’.